By now you should’ve received your 2018 property tax assessment. If you’re like me, you may be looking to dispute said tax assessment in an attempt to lower your assessed value and in turn, lower your property taxes. While I can’t guarantee that you’ll experience any real level of success (sorry), we’re here to help point you in the right direction. 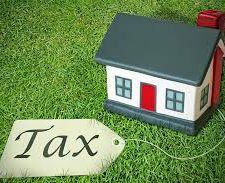 Property tax bills are generally calculated by multiplying your home’s assessed value by the tax rate. If you think your home’s assessment is higher than it should be, or out of line with the current market, you need to challenge it ASAP! In Georgia you have 45 days from the time your new assessed values (Annual Notice of Assessment) are mailed to dispute. Follow these steps to challenge your assessment. 1. Decide if an appeal is worth your time. How much effort you decide to put into an appeal depends on the stakes. With the marketplace improving and most neighborhood values increasing, it’s likely that your assessed value has gone up, and up, and up – it’s really a matter of determining if this assessed value is in line with the actual marketplace. You may have even disputed your 2017 property tax assessment which could provide you additional support for this year’s dispute depending on the 2018 assessed value. If your property’s assessed value has increased by more than 20%, than an appeal may be worth the effort. Make sure the information specific to your home is correct. Is the number of bathrooms accurate? Number of fireplaces? How about the size of the lot? There’s a big difference between “0.3 acres” and “3.0 acres.” If any facts are wrong, then you may have a quick and easy challenge on your hands. Flip side is that if you appeal your assessment and the existing information is in error in the opposite direction (you have 4 bedroom but the county has you down as 3 bedrooms), this is unlikely to benefit you in the appeal process. ***Many assessments are based purely on square footage which may or may not be of any help when it comes time to present your case. This is also one of the few times you’ll ever promote the negatives of your home to defend your case. You can use the County resources (for you DIY folk), hire a professional or reach out our team. Either way, try to find three to five comparable properties — “comps” in real estate jargon — that sold in 2017 (the current year’s assessment is based off of last year’s market). Alternatively, check a website like realtor.com or zillow.com to find approximate values of comparable properties that are very similar to your own in terms of size, style, condition, and location. Once you identify comps, check the assessments on those properties as well – has their assessed value increased proportionately to yours? Most local governments maintain public databases. Armed with your research, you should be able to submit your appeal online or directly to the Assessor’s office – you can also call your local Assessor’s office (some are more helpful than others . . .). Most assessors are willing to discuss your assessment informally by phone. If not, or if you aren’t satisfied with the explanation, request a formal review. Pay attention to deadlines and procedures. A typical review, which usually doesn’t require you to appear in person, can take anywhere from one to three months. Expect to receive a decision in writing. 5. Appeal if you don’t like the review. If the review is unsuccessful, you can usually appeal the decision to an independent board, with or without the help of a lawyer or representative. You may have to pay a modest filing fee, perhaps $10 to $25. If you end up before an appeals board, your challenge could stretch as long as a year, especially in large jurisdictions that have a high number of appeals. Meet the Ben in AtlantaBen, Ben McKenzie. He was born and raised in the City of Decatur and is a graduate of Decatur High School (go bulldogs!). 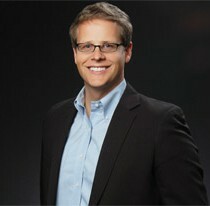 Ben is a graduate of Rhodes College and has been a real estate agent in the Atlanta area since 2005. His unique blend of real-estate know-how and charisma has helped him build life-long relationships with clients.